To-date, 14 submitted applications have received financial assistance. The installation of a low-flow crossing was part of the Riparian Fencing Program. The WIWCD subsidized the cost of off-site winter watering system. 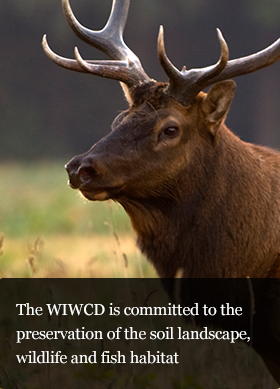 The WIWCD strives to be the lead local watershed organization, bringing a holistic and sustainable management perspective to issues affecting surface and groundwater quality and quantity. The WIWCD is comprised of watershed residents that are divided into Sub Districts based on sub watershed boundaries. Informational session will take place at St. Laurent Parish Hall on March 13, 2019 at 10:00 am.